This fiendish anthology, complied by the horror genre's most acclaimed editor, drags you into the twisted minds of modern literary masters at their fiendish best. 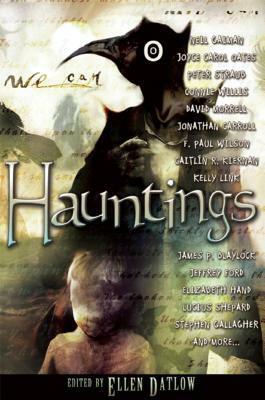 Visionary storytellers fill this collection of tales lyrical and strange, monstrous and exhilarating, horrific and transformative. *A sweetly vengeful voice on the radio calls a young soldier out to join a phantom patrol. *A hotel maid who threw her newborn child from a fourth-story window lingers in an interminable state. *An intern in a paranormal research facility delves deeply into the unexplained deaths of two staff members. *A serial killer plans his ultimate artistic achievement: the unveiling of an extremely special instrument in a very private concert. At once familiar and shocking, these riveting stories will haunt you long after you put down your book and turn out the light. Ellen Datlow is one of the best-known editors of science fiction, fantasy, and horror working in the field today. She was the fiction editor of OMNI from 1981-1998 and has since edited the online magazines Event Horizon and Sci Fiction. Her many anthologies include Naked City; Snow White, Blood Red; Blood and Other Cravings; and Poe. Datlow has won five Hugo Awards, eight Locus Awards, three Bram Stoker Awards, two Shirley Jackson Awards, and nine World Fantasy Awards.